We'e currently operating from our new address. 847 N Hollywood Way - Suite 204 - Burbank California 91505. If you're coming in to class please head to this location. Happy Birthday To Us! 21 Years and a New Place! I'm happy to share the joy of celebrating the 21st anniversary of The Animation Academy in Burbank California! It was on this day January 19 1998 that we held our very first class in the back room of a local restaurant. And for 21 years since we have kept it going! Here's some additional good news for this special occasion. We're moving from our location on Magnolia Boulevard to a splendid facility on Hollywood Way. Still in the Magnolia Park region. Still in the same postal code. And just a few blocks away from the Warner Bros Studio main lot plus just 2 blocks away from Warner Bros TV Animation and just 1 block from the Animation Guild which is the union for our industry. 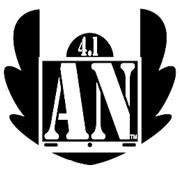 Some great additional news is that we'll be located in the same building as Center Stage Gallery which is a dedicated showplace for animation art and is owned by CTN (the Creative Talent Network) - a major artist oriented organization which sponsors a huge expo every year just down the road in November. We'll be conducting our first class session at our new location (847 N Hollywood Way Suite 204) this coming Monday evening January 21. 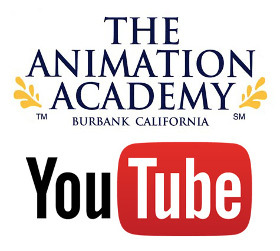 For a look at where we're moving to you can follow this link to The Animation Academy's blog which we've been maintaining since April 2006. Thank you to the wonderful people who've been associated with us all these years. Very best wishes to you and Keep Creating !! A Happy and Creative 2019 !! If you're looking to join us at The Animation Academy we highly recommend that you enroll early for the term you're interested in. Our seating is limited and we're experiencing increased activity with incoming students with both our on site classes in Burbank and our online sessions. Please contact us in advance to arrange your enrollment for the time frame you're looking for. Thank you! She's been a fantastic student and now she's showcasing her animation expertise on Patreon. This is Hannah Smith's latest video where she features her process from the initial rough footage to the final color version. Hannah is proficient in Toonboom which is industry standard software for traditional had drawn animation. Hannah has also started a Patreon account to help move her production along. Take a look at The Blue Wolf Studios on Patreon and consider supporting this emerging talent and her outstanding work. You can also follow Hannah Smith's Blue Wolf Studios on YouTube. We experience a high level of enrollment requests this time of year. Seating is very limited. We're making arrangements to increase the capacity of our class size for sessions that will start June 25. If you're looking to enroll for this period please do so as early as possible prior to the class reaching capacity. Academy alum Joshua Lam of Running Deer Publishing has created a speed drawing / painting demonstration video that highlights fundamental basics in both constructing a character and rendering the image in color. You can see more of Joshua's Running Deer content on YouTube. Another of our many exceptional students over the years has launched an exciting new venture. Joshua Lam is a professional graphic designer who studied with us at various times during his career. His latest project involves the publishing of a new iBook entitled "Water" through a new company he's formed called Running Deer Publishing. The launch date for his book will be this coming April 19 2018. You can see a preview of Water at this link to iTunes. 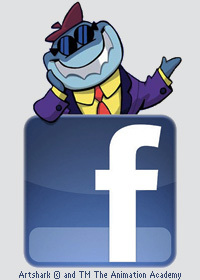 You can also follow Water and new developments with Running Deer Publishing on Facebook. Also on Instagram and Pinterest and be sure to subscribe to RDP's YouTube channel. Enjoy Joshua's videos as he describes what Running Deer is about and see a tutorial as he illustrates a page from Water. An important aspect of Character Design is the relationship between the head and body of the character. In Share the Lesson 10 we explore various ways the head / neck / shoulder area relate in design.